In all the excitement of buying new furniture, it’s easy to forget about one very important detail: delivery. 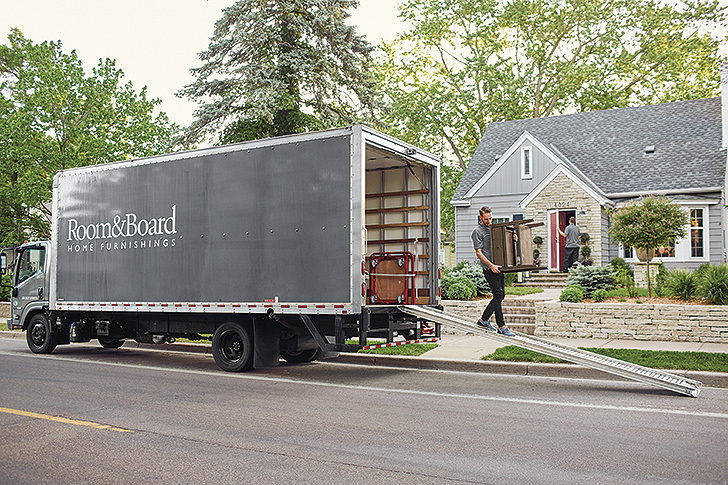 At Room & Board, we make your furniture delivery day easy with simple rates, great service and a seamless experience. Here’s how we do furniture delivery differently. Our rates are based on where you live, not how large your items are or how much money you spend. We deliver unlimited items to your home in one trip for one flat rate of $99 or $139, depending on how far you live from our stores. Yes, that means we’ll deliver enough furniture to fill a house for that price. You can find your rate here. The Delivery Associates who come to your home work exclusively for Room & Board. In other words, they share our high standards for customer service and treat your home as carefully as they would their own. Since they’re the “work hard, stay humble” types, we have to brag on their behalf: They’re amazing. If your scroll through our product reviews, you’ll see that our customers agree! You may have heard horror stories about someone ordering a beautiful new sofa, only to have it dropped off at the curb. In the rain. Friends, we would never do this to you. Your new furniture is way too nice to sit in the street. 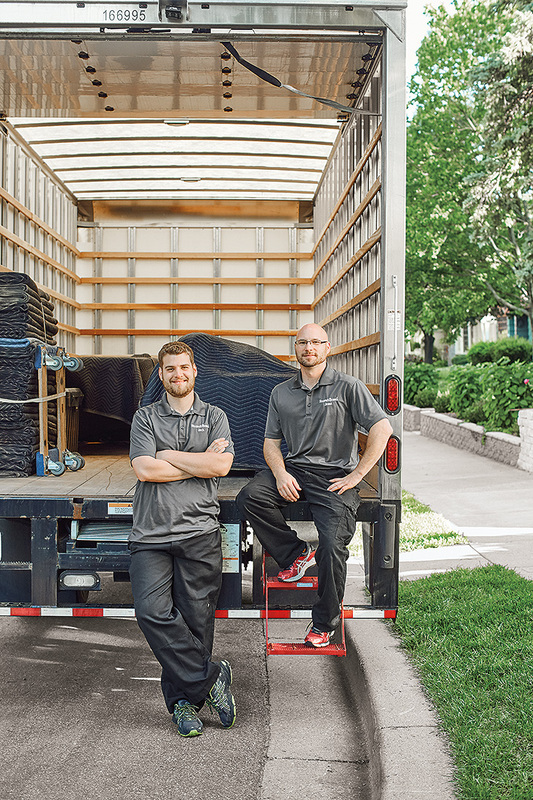 Our two-person teams bring your furniture into your home and place it exactly where you want it. Once we’re done placing your furniture to your liking, we’ll take any packaging with us and recycle it. This seems like a small thing, but breaking down a box big enough for a sofa isn’t how anyone wants to spend their Saturday afternoon. We think you’ll love the furniture you buy from us, but on the off chance you don’t, we will pick it up at no cost to you. The original delivery fee isn’t refundable, but a free pick-up or exchange delivery makes life easier, doesn’t it? And you don’t need to worry about repackaging—we’ll take care of it. Just have your piece clean/empty/ready and we’ll do the rest. 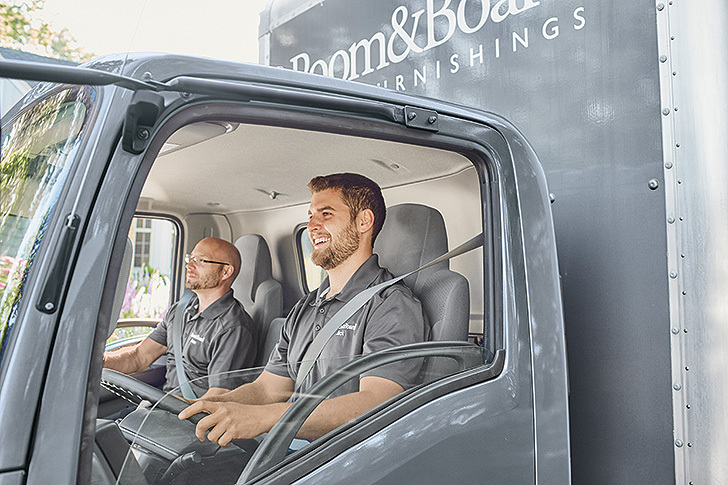 Learn more about our top-notch furniture delivery and find your rate.